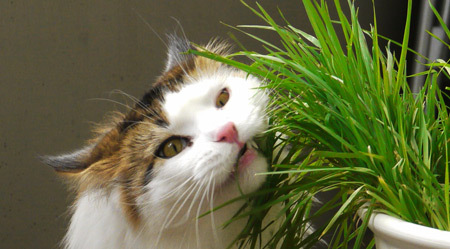 Cat Grass - Why Do Cats Eat Grass? 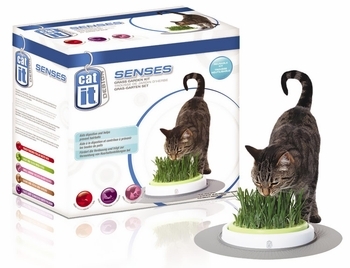 Why do cats eat grass and is there such as thing as cat grass? Good question and there have been many possible answers but no one can say for sure why our feline friends love to munch the green stuff so much. It certainly cannot be for pleasure. 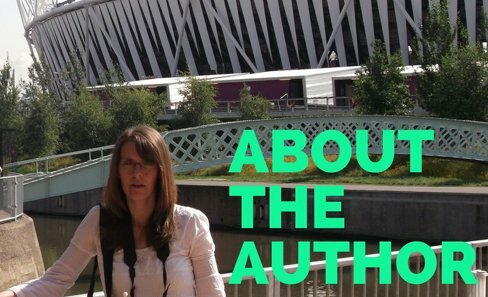 Have you ever watched a cat try to eat a blade of grass? It looks really uncomfortable and often quite tricky to chew. Also cats are unable to digest vegetable matter properly, which is why you will often see you cat vomiting shortly after eating the grass. 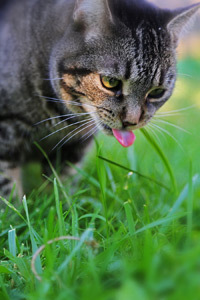 No one likes to vomit, so there must be a really good reason why your cat would choose to eat grass. Although grass is often the main chosen plant of consumption by cats, you will also see them eating at plant leaves too, both inside and outside of the home. However the reason for eating house plants could well be because they do not have access to any grass, which is what they are really after, why? Well, grass juice contains Folic acid, a substance vital to cat health but which cannot be obtained from meat. Folic acid helps with the production of haemoglobin which helps to move oxygen through the blood. A deficiency in this acid can case severe anaemia and cause the cat to become very ill. So obtaining Folic acid is one reason why cats will eat grass but there are also several other possible reasons too. 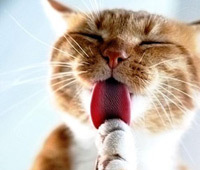 A Natural Laxative - hairballs can be a problem for some cats and although they usually manage to throw them up. they can sometimes move further down the and need to be got out the other end. Grass helps with this process and enables any stubborn hairballs to be passed with ease. Emetic - Again grass can help remove stuck hairballs by inducing the cat to vomit. Cats seem to know that that a blade of grass will produce this retching reaction and somehow they always feel better afterwards (well hopefully). Is Grass Essential To A Cats Diet? There is a grass known as cat grass (latin name Avena sativa), it;s other name is the common oat. However this grass is not the one most cats will eat in the garden. in fact many different varieties f grass is consumed, producing the same results. So there is no need to go out and buy cat grass specifically. 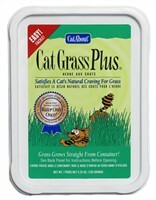 However I would say that access to some form of grass is important for our cats diet and general well being. Cats have been eating grass forever and as I always say, "nature knows best". They simply wouldn't eat the stuff if there was no good reason for it. My own two cats will eat grass more in the spring as I think this is when they get most of their hairballs. 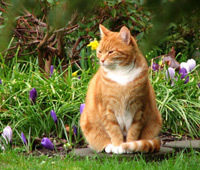 But they will eat all year round if they can find a juicy patch in the garden (I have cultivated a small area where I allow my grass to remain tall for the cats to munch). Not everyone will have their own garden where grass can grow naturally. Many cat owners live in apartments and may choose to keep their cats inside. often this is when cats will start to eat other plants and this can be a problem. 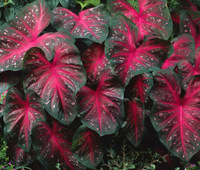 Some plants may be poisonous to or cats (See my page about Toxic plants), plus who wants chewed plants everywhere. Miracle Care Cat A'bout Cat Grass which is a one off pot of grass that only needs watering once. this is nice and easy but is a disposable product. Once the grass is gone it's gone. 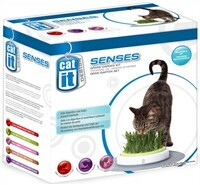 My other favourite is Catit Design Senses Grass Garden Kit. This contains a ore sturdy potwhich can be refilled once the grass is all gone. Plus it comes with a special mat which is designed to feel nice to your cats paws. Well we all like to spoil our cats from time to time don't we. the refills are easy to use to and personally I like to keep down the amount of plastic tubs I throw away so this refillable version is my preferred option.